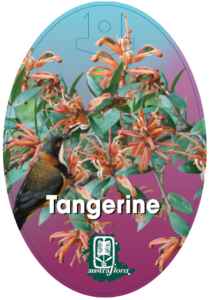 Two closely related and very frost tolerant plants have combined their best assets in Tangerine: a dense habit, plentiful tangerine-hued flowers throughout the year which both honey-eaters and parrots enjoy, and hardiness in climates ranging from cold temperate to sub tropical and semi arid, in well drained clay or sandy loam neutral to acid pH. 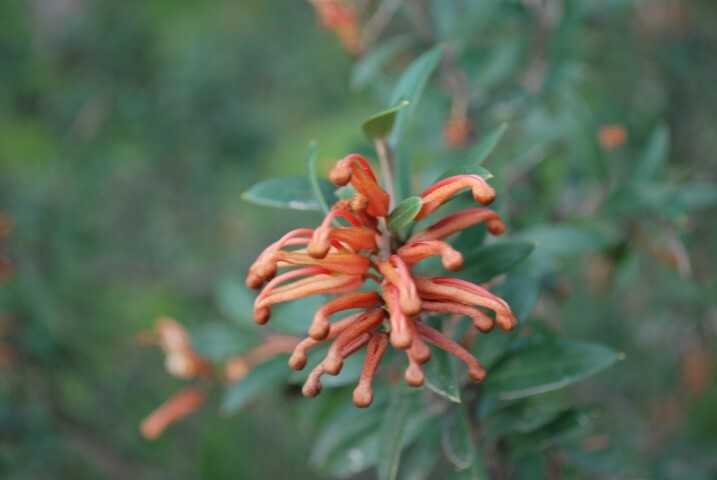 Plant in drifts with similar sized but other colour grevilleas or use as a low dense hedge, with minimal trimming. It really is a tough ~ yet beautiful ~ customer.